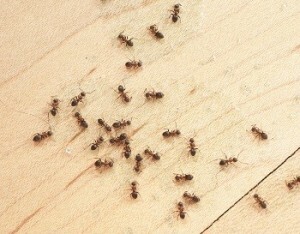 Compared to other household pests, an ant problem does not seem like that much of a threat. While a single black widow sighing can be enough to warrant spider removal from Portland OR homes and businesses, an ant sighting does not inspire much concern. Even though ants might appear relatively harmless, they can be a significant nuisance to homeowners. This is why preventing an ant infestation is so important. Carpenter ants burrow through wood to create nests. Though they do not actually eat the wood, this burrowing can weaken the wooden structures inside your home. Ants are often drawn to homes because of plentiful food sources. Any food not stored properly can become contaminated by ants and will have to be thrown away. This includes candy, fruit, bread, or any other food item not sealed tightly and securely stored. Ants are known to cause health problems in some people. Red ants are known for their ability to sting, which can cause an allergic reaction. People with asthma and allergies can find themselves triggered by the activity of pharaoh ants. Your pest control company should be able to answer any ant-related questions you have. They may even have several suggestions that can help you prevent an ant infestation. 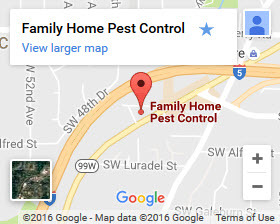 These are some of the most effective ant control methods and come highly recommended by experts in ant and rodent removal in Portland OR. Begin by thoroughly cleaning any space where food is stored and prepared. Clearing out the spaces underneath heavy appliances such as stoves and refrigerators is also important; these narrow spaces can collect a lot of food particles over time. Purchase a trash can with a lid. This will prevent the kitchen garbage from becoming a target for ants. Finally, clear away any dead vegetation collecting at the base of your house. Those small leaf piles offer a quiet space for nest building. These steps will help control other pest types, too.